Nestle is the world's largest food and drink company. Joining Nestlé means being at the forefront of one of the largest food company in the world. 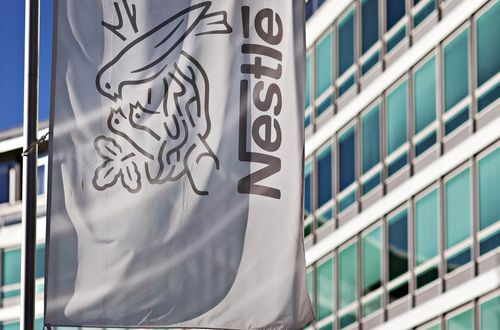 At Nestlé you will get a chance to learn, develop and progress in one of the unique graduate schemes in Customer Development, Engineering, HR, Manufacturing, Marketing, Science, Quality, Statistician, Supply Chain. Due to a large volume of applications Nestlé Application process involves a series of hoops that will allow them to shortlist the very best talent with a particular kind of skills. Before you start filling in your application you will be asked some Pre-screening Tests. It’s important to focus on outlining your strengths and show an interest in the company, as soon as at this stage. Psychometric tests are a key component of Nestlé Application Process. Candidates are required to sit Situational Judgement Test and Numerical Reasoning Test, as well as not-assessed Social Mobility Questionnaire, which involves questions about your background. These questions are optional so if you’d rather not answer, you might select ‘prefer not to say’. Nestle Situational Judgement Test is a set of questions assessing how you might react to hypothetical events and situations that might be encountered in the Nestlé workplace environment. Based on your answers to these questions it will be verified how aligned you are with the company’s values and behaviours. So do your research and try to memorize them by heart ( might come in handy in the future!). The multiple - choice Nestlé Online Numerical Test assesses your ability to evaluate, analyze, and interpret numerical information that will be provided to you in charts, graphs, and tables. You will have limited time to find a correct answer, so all the calculations like percentages, ratios, and basic arithmetic should be executed quickly and accurately. We know that you can do it, but If you really want to master the Nestlé Online Numerical Test - it can be easily learned through our online tests and video tutorials available on the website. If you are invited for the Nestlé Video Interview you will be provided with an access to a platform that will record your responses. The Nestlé Assessment Centres are usually a mix of individual and group activities. The exercises will differ depending on the job position you are applying for, but make sure you are prepared for both scenarios. These exercises will vary, but the general skills that the assessors are looking for is a good balance between teamwork and leadership skills. You might want everyone in the room to see your great leadership skills, but approach the group exercise rather as a test of your collaborative and teamwork abilities than a show of a directorship. Most likely you will have a brief to read and discuss possible solutions with a group and then present a conclusion to the assessors. It is important to stick to your guns if you are convinced about your answers. This will be a standard motivational and strengths-based interview. You are expected to give full answers with specific examples of your achievements, as well as show that you understand well what your role will be about, and what working at Nestlé means. Remember to show some enthusiasm and passion! A topic of your presentation will be provided ahead of the Assessment Centre. This is a knowledge-based exercise, so make sure you will research your topic thoroughly. If you are not a born speaker and feel like you could use a little bit more advice, you can check the Assessment Centre Guide, for more useful tips.